This article will guide you through how to set up your newsletter content with helloretail and MailCamp. You need a design for your newsletter content. If you do not already have a design for your newsletter, you can follow this guide. If you already have created a design, you must now create an auto campaign config, this can be done by following this guide. You are now ready to integrate your newsletter content into MailCamp. Step 1: Log into your helloretail account and copy the code snippet from your auto campaign config. Step 2: Log into your MailCamp Account and find the specific campaign, where you want to show your helloretail newsletter content. 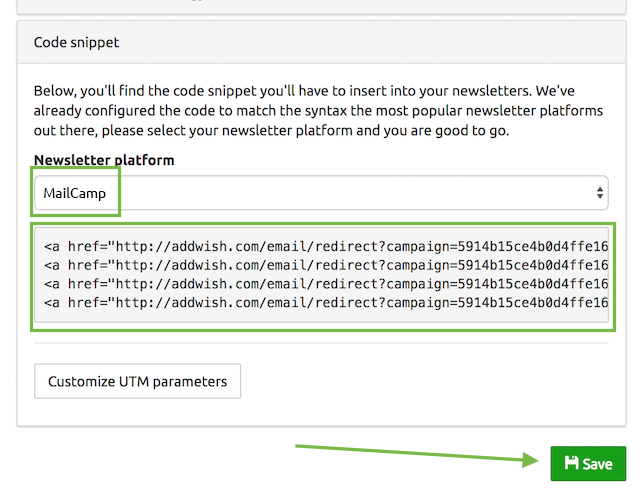 Step 3: Now insert the code snippet from helloretail into your newsletter template like in this video guide. You have now successfully installed helloretail newsletter content to your newsletters.